Renner Springs Desert Inn offers 27 ensuited non smoking motel rooms. With air condiition, TV and pool outside. Visit our restaurant for breakfast, lunch and dinner. Or you can have a drink in our air conditioned bar area and relax from your road trip. Optus Mobile Network is available on our site. Our shop is open from 5.30 am until 10.30 pm and has basic essentials such as home made bread, pies, sausage rolls, soft drinks, cigarettes, ice creams, fuel and takeaway meals as well as an extensive menu. Alan & Christine Revell welcome you to Renner Springs Desert Inn. Together with their team they are always ready to meet the wishes of their guests and make your stay a pleasant one. 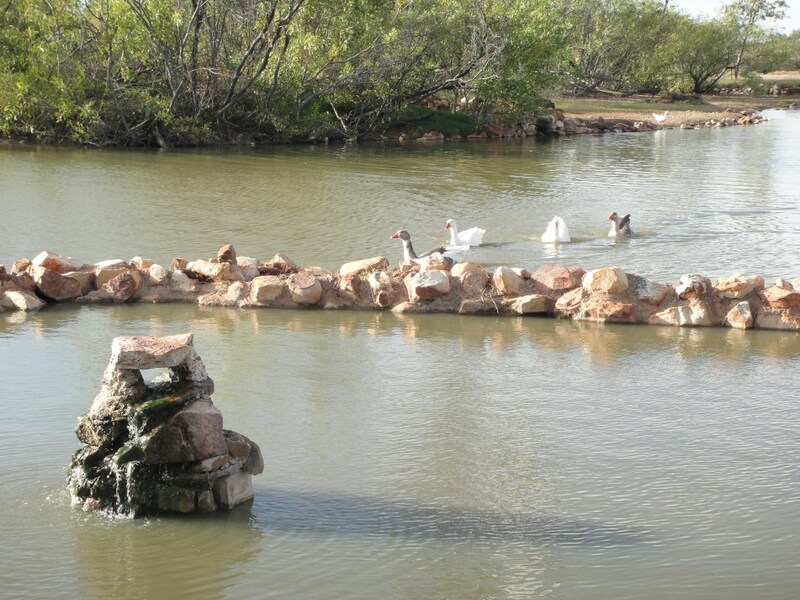 Renner Springs is located approximately at the halfway mark in the Northern Territory (border to border). 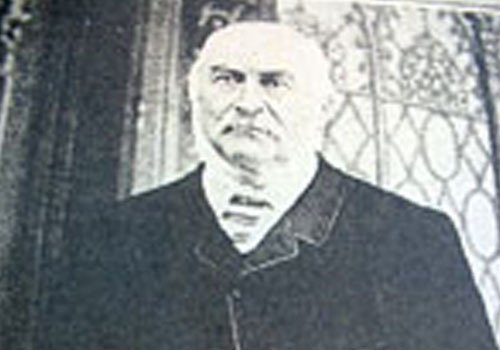 Renner Springs is named after Dr Frederick Renner. He was the Doctor to the men working on the Overland Telegraph Line in 1871. Dr Renner’s diary records a large gathering of birds and while investigating he discovered the Mud Springs. The Mud Springs can still be seen by an enjoyable walk and the large Lagoon still support a large range of the Territory’s natural birdlife. Please see below the “Activities” to view the large list of rare birds that can be seen by any avid birdwatchers. The original “Roadhouse” was in operation as early as 1947, it was owned then by the Doyles then sold to Bob & Mavis London from 1956 to 1961. It was then purchased by Jack & Dulcie Chambers in the 1960’s; sold to the Price Brothers, Ray and Cliff, in the mid 1980’s; Paul & Brenda Sear in 1992; John and Judi Blackman in 1997; and the current owners Alan & Christine Revell are now the resident hosts of Renner Springs since 2008. Each owner has added to the Roadhouse to make it as it is today. We are a unique property and are totally self sufficient with our own power supply generated soley from diesel generators. Renner Springs takes pride in the level of service and quality of product it delivers, and clientele can be assured of a memorable experience of hospitality and “a little bit of desert magic” whenever they visit. If you are travelling either from Qld, SA or the NT we are ideally located within an 8 hour drive from either Mt. Isa, Alice Springs or Darwin and we are the ideal place for you to stop relax and the end of a long day travelling and to enjoy a “cold beer”. 10/6/2018 James “Gold Coast Qld” – “Perfect Spot! Good beer! Here at Renner Springs we are proud to have such an abundant array of wildlife. 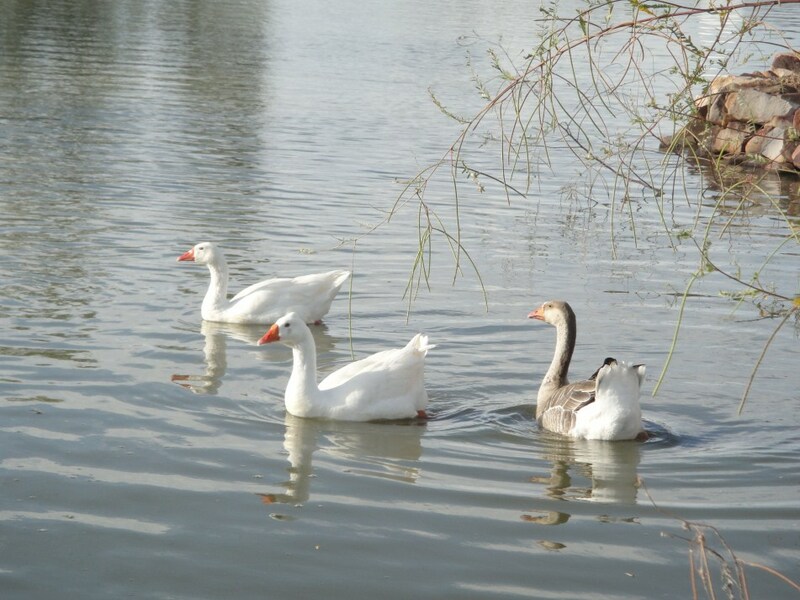 Many species of birds have been spotted around the area. If you are an avid birdwatcher and have time to spare then take the time to go birdwatching and see if you can spot any of the following birds or even add to our list. Birds Seen at RENNER SPRINGS Can you add to this list? Take some time out at the start or end of your busy day and wander around our lagoon and natural springs and enjoy the silence of the outback. Watch the gentle turning of our towering windmill swinging in the gentle breezes and enjoy the sunrise and specatular sunsets. Lubra’s Lookout is a flat topped rocky outcrop mountain located 5 kms south of Renner Springs. A climb to the top takes approximately 15 minutes and gives you spectucular 360 degree views of the surrounding countryside. Whether you decide to climb at sunrise or sunset it is well worth the climb and don’t forget to take your camera for the magical views. 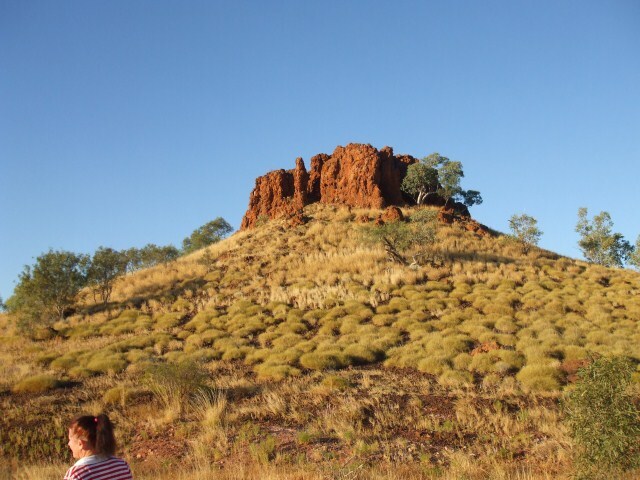 Lubra’s Lookout is a well known Aboriginal Landmark depicting the story of being a womens meeting place…….